Dwarves are a hardy folk who have their origins in the high hills and ancient mountain holds of their ancestors. Their many clans, tribes and petty kingdoms stretch the length and breadth of Ithron, laying unseen beneath the ground and connected by the innumerable Deep Roads. Dwarves are most well known for their great gifts in architecture and engineering. They excel in mining, refining, and shaping metals, and it is by these occupations that they are chiefly known to outsiders, but their artisans in alchemy and masonry are also unparalleled. With a lifespan normally lasting several centuries, they have a lot of time to perfect their craft. Both physically and socially, Dwarves are a toughened people. Their ancient holds are under constant threat of Foulspawn invasion, they bear uncountable grudges against the Elves for wrongs long forgotten, and often resent Humans for restricting their expansion across the surface. For these reasons, both clan and family are of the utmost importance to a typical Dwarf. By necessity they are a secretive people, bound by many laws and taboos which cannot be broken, on pain of banishment or even death. 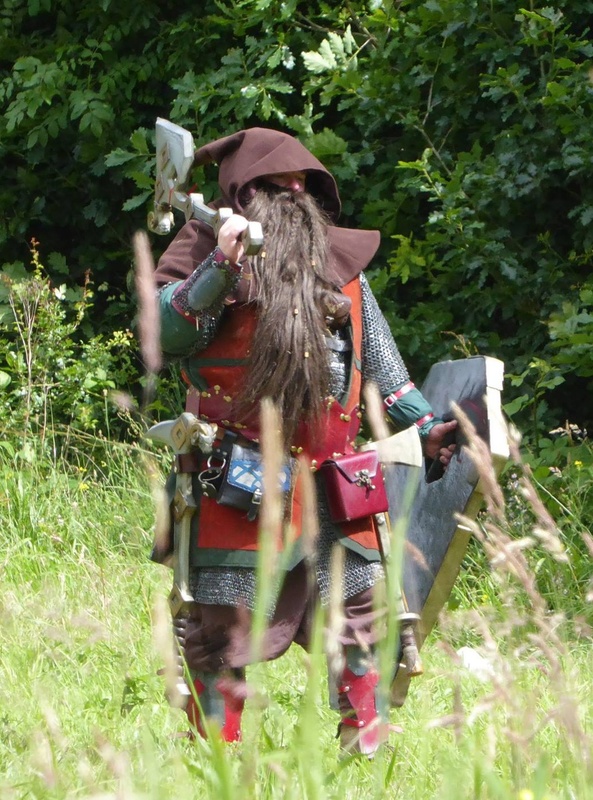 The costume requirement for a Dwarf is a prominent beard for males and females.